Attentive employees are the basis of a well-run operation, and LRS push for service devices help improve your business’ response rates. They are designed to make requesting support simple, whether it’s an employee requesting the presence of another staff member, or customers requesting service. Offering your employees the ability to attend to customer needs quickly not only increases customer satisfaction, but also improves productivity. 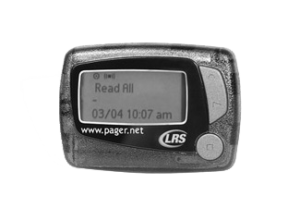 This kit includes LRS Butler XP transmitters and LRS alphanumeric staff pagers. This kit includes LRS wireless Pronto transmitters and LRS alphanumeric pagers. Improve staff response times by messaging employees when they are needed.